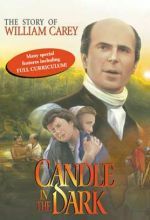 In 1908 a young English college graduate gave up a potential career and fame to serve as a missionary in the remote regions of China. But after six years, there was little response and the mission needed him elsewhere. What would James O. Fraser do? 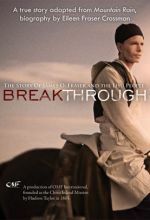 Breakthrough is a deeply inspiring half-hour docudrama which tells the story of how thousands of Lisu people came to faith in Christ. Breakthrough inspires many people — whether viewed at home, with a college group, small group or church class, during a missions course or any prayer gathering. James O. Fraser (1886-1938) was a British man who was studying engineering but felt called of the Lord to join the China Inland Mission as a missionary to that land. However, unrest in China led him in 1910 to minister to a Tibeto-Burmese minority people, the Lisu, living in the high mountains along the borders of China and Burma. He worked among these people for 30 years. Fraser is best known for developing an alphabet for these people, known and used even today. A man worth knowing about. Movie documentary is too short. You almost think it is just a preview and then it is all over. No gravesite information either. I bought it thinking it might relate to The Cambridge Seven. Besides interest in Chinese mission, I love to see the folk clothing. This is a great movie for that. In addition to the actors wearing costume, there is a special treat where they include a very old film bit of Lisu coming from the mountains dressed in their authentic clothing. The docudrama has a very sincere main actor .